If you have fire extinguishers in place - well done! You're halfway towards being protected from fire! But check! Have they been serviced in the last year? An out of date fire extinguisher, if not checked, could actually be worse than useless in an emergency. Most fire extinguishers need to be serviced yearly, and every five years or sooner for some, they need a controlled discharge and refilling. It's best to schedule a yearly check in your diary - or better still, if you want fire extinguisher servicing Hampshire fire safety experts ETC Fire are here to help. If your fire extinguishers are in need of a service then look no further than Call ETC Fire for all your needs, for fire extinguisher servicing Hampshire areas. Inadequate fire safety checks will be a thing of the past. Our fire extinguisher service engineers are regularly employed all around Hampshire servicing hose reels, servicing fire extinguishers and other fire safety equipment, plus fire training in all kinds of commercial premises and environments. We are fully BAFE Registered Fire Extinguisher Servicing Engineers and we are proud of our reputation for reliability when it comes to fire extinguisher servicing contracts for our customers all around Hampshire. CONTACT US HERE by email for a call back or phone 01444 487821 / 07501 724865 to speak directly to an advisor. ETC Fire can offer you cost effective fire prevention and at each inspection your engineer will check your fire extinguishers for damage, tampering and re-fill or replace as necessary. 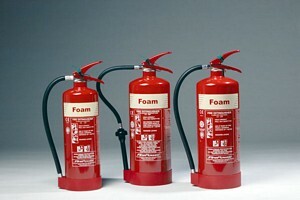 They will also check that your fire extinguisher is stored correctly and any other equipment is suitable for use. A competent engineer will ensure that your fire extinguisher equipment is ready for the moment you need to use it and won't let you down. ETC Fire are happy to answer any questions that you may have regarding fire safety, and what you need for your premises. As well as servicing ETC Fire also supply all makes of fire extinguisher and are happy to service any fire extinguishers you may have bought from another source such as the Internet. If you haven't had these essential checks done by a trained fire extinguisher service representative, you risk prosecution should someone be injured when a fire occurs on your property and your staff are unable to contain it, not to mention losing your stock, premises and profits. If you need any help with your fire extinguisher maintenance, buying new fire extinguishers or a regular contract for fire extinguisher servicing Hampshire clients please contact us here.